Melbourne says "Bring them here"
On April 30, 1500 people rallied in Melbourne calling on the federal government to bring the all the asylum seekers in offshore detention to Australia. The rally was part of a national weekend of action. The rally was called after the Supreme Court of Papua New Guinea ruled that the Manus Island Detention Centre was illegal. Socialist Alliance contingent at the Sydney May Day march. More than 2000 eggs of the Southern Corroboree frog have been released in the high alpine areas of Kosciuszko National Park, by keepers from Taronga Zoo and Zoos Victoria in a bid to save the frog from extinction. The species has been all but wiped out by the deadly chytrid fungus, leaving only about 50 mature individuals in the wild. It will take six months for the eggs to metamorphose into frogs and then another four years for them to mature. Cycling on footpaths was made legal in WA last week and the government agreed to increase the number of dedicated bike paths after two cyclists were hit and killed by cars in Perth on the same day last month. Previously only children under 12 were allowed to ride on footpaths but the new rules apply to all cyclists. All other states now allow adults to ride on footpaths except Victoria and New South Wales, which restrict the right to children under 12 and accompanying adults. Fifty people attended a forum addressed by Canadian ecosocialist Ian Angus on April 30 in Perth. Angus is in Australia as a featured speaker at the Socialism for the 21st Century conference in Sydney May 13-15. He is also on a speaking tour around the country in the two weeks preceding the conference. Queensland's first large-scale solar farm run by a local government — saving the council $22 million in electricity costs over 30 years — is being built on the Sunshine Coast. The 15-megawatt solar farm will be built on 50 hectares behind Coolum, will be financed by the council after the federal government refused to fund it. It will provide green power by mid-2017 and will slash the council's costs of buying electricity for everything including streets lights, sports facilities, buildings, galleries, parks and libraries. Recently the PNG supreme court ruled that detaining asylum seekers and refugees is in breach of its constitution. The Australian government is saying they will not bring the 850 asylum seekers in Manus detention centre to Australia. Omid, a 27 year old refugee on Nauru self immolated in front of UNHCR officials and said beforehand "This is how tired we are. This action will prove how exhausted we are. I cannot take it anymore." 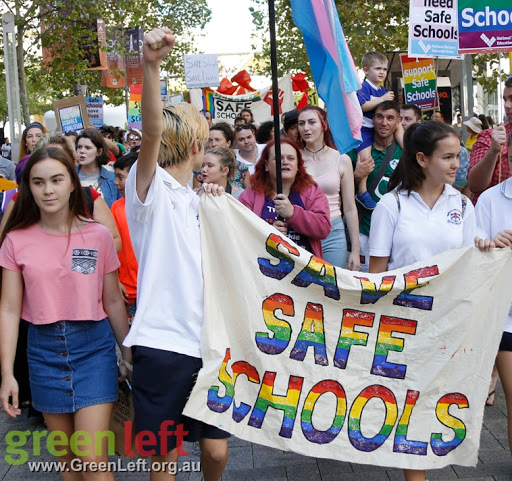 King Street, Newtown ground to a halt on April 23 as some 500 locals took to the street in protest at the rise in homophobic and transphobic violence in the area since the introduction of the lockout laws. Dire warnings from the federal government that property prices will fall and rents will soar if negative gearing and capital gains tax discounts are reduced have been found to be untrue by a Grattan Institute report. It also found the government’s claim that “mum and dad investors” were its biggest beneficiaries was untrue. In fact it found that negative gearing largely benefited the wealthy, with the top 10% of income earners getting almost half of the tax benefits before rental deductions. The Rana Plaza murders will not be forgotten: this was the message of a small but spirited rally on April 13 in Melbourne’s Bourke Street Mall. Organised by the Textile, Clothing and Footwear Union (TCFUA) and other labour activists, the rally commemorated the third anniversary of the Rana Plaza building collapse in which 1134 Bangladeshi sweatshop workers lost their lives and 2500 others were injured. The Rana Plaza murders will not be forgotten: this was the message of a small but spirited rally on April 13 in Melbourne's Bourke Street Mall. Local Kashmiris and their supporters rallied at Sydney Town Hall on April 22 to protest against the deaths of six Kashmiris in Indian-occupied Kashmir and other human rights violations. Kashmir is the most heavily militarised zone in the world. Thousands of innocent lives have been lost and untold miseries perpetrated on a small nation because of their desire to exercise their rights of self-determination, as enshrined in International law. 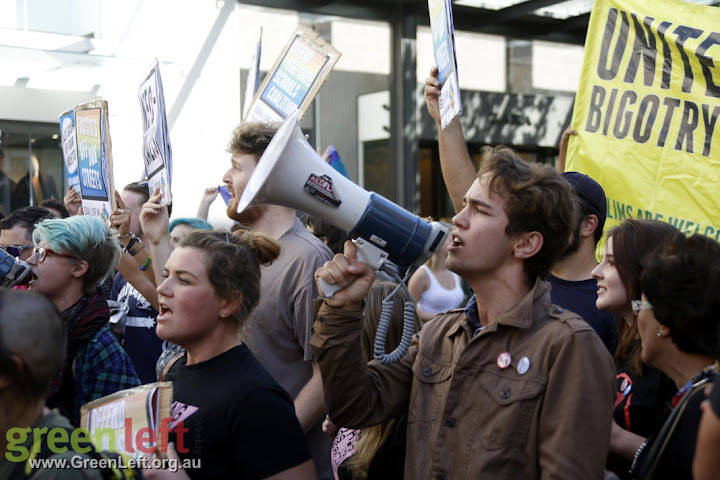 Residents of public housing towers in Waterloo, inner Sydney, rallied on April 23 against the NSW Coalition government's plan to forcibly evict tenants so it can sell off their homes. The community is fighting the government's plan to begin relocating residents from mid-next year, before demolishing the Waterloo apartment towers to build new private high-rise apartments. The Mike Baird Coalition government in New South Wales is keeping its plans for further privatisation of the publicly-owned Sydney Trains network tightly under wraps, after state officials refused to release nearly 100 documents on the issue, declaring them "cabinet in confidence". NSW Treasury bureaucrats rejected a freedom of information request from the Labor opposition, saying the correspondence and emails could have an impact on commercial interests. In response to widespread protests against plans to cut hundreds of jobs from the Commonwealth Scientific and Industrial Research Organisation (CSIRO), chief executive Dr Larry Marshall has announced a new CSIRO climate research centre in Hobart. But senior scientists have slammed the plan, saying that Australia is still facing a major reduction in its climate research program. The scientists told ABC News on April 26 that the 40 researchers allocated to the new centre may struggle "to do even the minimum of maintaining an Australian forecasting capability". 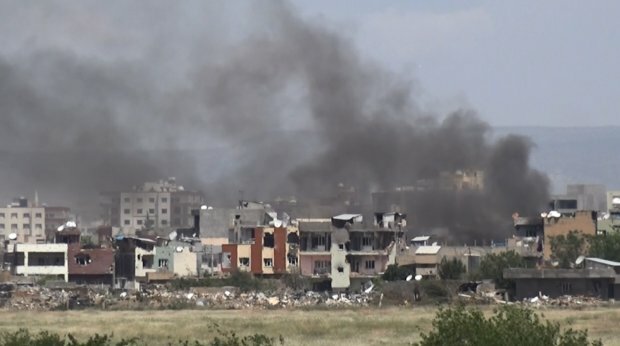 Turkish forces destroying homes in the Kurdish city of Nusaybin. The Peoples’ Democratic Party (HDP) has published a report on the war crimes, human rights violations and deaths in Kurdish towns and cities since July last year, with a special focus on Cizre, Kurdish Question said on April 22. Suspected Islamist militants hacked to death a leading gay rights activist and a friend in an apartment in the Bangladeshi capital, Dhaka, on April 25, TeleSUR English reported that day. The killings came just two days after a university professor was murdered in similar fashion in an attack claimed by ISIS. It has taken only nine months for the third memorandum between the near-bankrupt Greek state and its creditors — the “Quartet” of the European Union (EU), European Central Bank (ECB), International Monetary Fund (IMF) and European Stability Mechanism (ESM) — to lurch to the brink of crisis. That deal, which the Syriza-led government of Prime Minister Alexis Tsipras felt forced to swallow despite the Greek people rejecting an earlier version by over 60% in a referendum last July, will provide the country with €86 billion. About 90% of this will go to paying off debt. Martina Anderson, a Sinn Fein Member of the European Parliament, has said that Ireland faced huge implications from a partial disengagement or full scale withdrawal (a “Brexit”) by the British state from the European Union. Anderson said the implications of a Brexit for Ireland included the formal repeal or significant erosion of human rights protections, which would have hugely negative implications for Ireland in the six northern counties still claimed by Britain and in the south. Venezuela's right-wing opposition coalition, the Roundtable of Democratic Unity (MUD), has officially launched its signature collection campaign to force a recall referendum this year against socialist President Nicolas Maduro. Thousands of opposition supporters flocked to sign the petition in public squares across the country on April 27 after MUD spokespeople confirmed they had received the official go-ahead from Venezuela's National Electoral Council (CNE). Brazilian workers were planning May Day rallies ahead of May 1 to defend democracy against what is being cast as an attempted parliamentary coup against President Dilma Rousseff. The move came as representatives from both sides of Brazil’s political divide made their case for or against impeachment on April 28. A special Senate committee has been charged with reviewing the request to see the president removed from office. It will hear presentations from experts invited by both sides of the impeachment debate. Valeria Silva is a deputy in the Bolivian Plurinational Assembly for the governing Movement for Socialism (MAS) party of President Evo Morales, and a leader within the MAS youth wing. Co-chair of Turkey’s left-wing, Kurdish-led Peoples' Democratic Party (HDP) Selahattin Demirtaş has told the media that the Turkish government had transformed into a perverted cult that bombs mosques and massacres civilians. Demirtaş made the comments on a visit to the vigil for jailed academics in Bakırköy Women’s Closed Prison on April 26. Co-chair of Turkey's left-wing, Kurdish-led Peoples' Democratic Party (HDP) Selahattin Demirtaş has told the media that the Turkish government had transformed into a perverted cult that bombs mosques and massacres civilians. 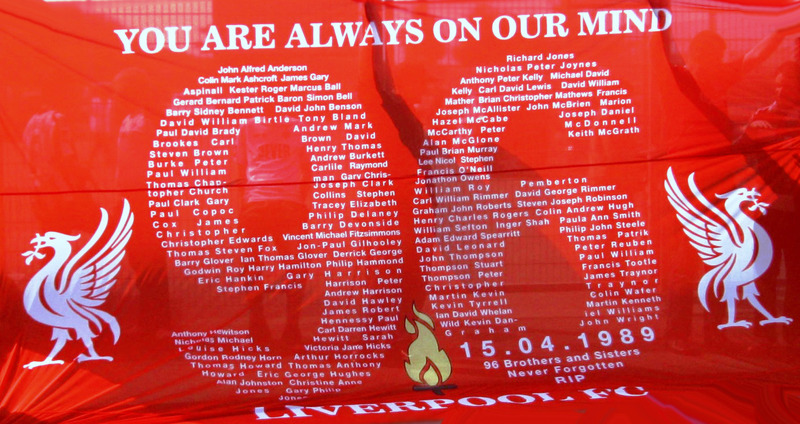 In 1989, 96 fans of Liverpool FC were crushed to death in a disaster at the Hillsborough Football Stadium in Sheffield. Neglect of stadium conditions, lack of concern for the welfare of working-class football fans and — specifically — woeful dereliction of duty by South Yorkshire Police on the day all led directly to one of the world’s worst football tragedies. Remember the discussion the Coalition government was going to have with us about tax? You know, the one where “everything was on the table”? Well, the metaphorical table, which started off as an enormous boardroom centrepiece carved from oak is now looking more like a tatty old cardtable with a wonky leg, as more and more items are dropped. Even Treasurer Scott Morrison's near-daily mantra of "We have a spending problem, not a revenue problem" is apparently not resonating with most Australians. Remember last year when federal Treasurer Scott Morrison, picking up where Joe Hockey left off, declared that we had a spending problem not a revenue problem? That seems like a long time ago now. They did try to increase revenues by floating an increase in the GST but soon after came the revelation that 600 of Australia's biggest companies paid no tax and hundreds more pay less that the 30% they could be paying. This is all the more galling when you consider that the rate has been cut from the 48% it had been in the early 1980s. And then came the Panama Papers! The first time I visited my family in Indonesia, I was 13 and I was told by an uncle that my skin was considered “traditional”. This was meant as an insult. In my family's house, whitening products sat tellingly on nearly every surface and I struggled to find products that did not contain chemical-filled, carcinogenic bleach. Stage 2 of the $17 billion road project WestConnex, the M5 tunnel from Beverley Hills to St Peters, was approved last week despite massive public opposition. More than 12,000 submissions — 99% opposed — sent to planning minister Rob Stokes were ignored and the approval was pushed through. The planning department was blockaded by protesters on the day of the announcement. After three years of murders, hunger strikes, mass protests and forcing people to live in some of the worst conditions imaginable, the Supreme Court of Papua New Guinea ruled on April 26 that detaining asylum seekers in the Manus Island Detention Centre is a breach of the country’s constitution. We arrived at twilight and put up our tents using the headlights from the car. A young man at the camp helped us with threading those damned rods with elastic bits through the tape slots on the tent. We had just got it up when we heard a bell ring for the evening meal. The meal was delicious, catering for both vegetarians and meat eaters. In many ways, environment minister Greg Hunt's attendance at the New York signing of the Paris Agreement on April 21 underscored the Coalition government's resistance to in taking real action to curb toxic carbon dioxide emissions. The election is coming! Roll out the pork barrels! What a sickeningly familiar pattern we are witnessing as DD-Day approaches. Last week, the Malcolm Turnbull government's front bench went into an ecstatic chorus about the $50 billion deal to build submarines. It was said to be an investment in jobs bigger than the epic post-World War II Snowy Mountains Scheme. As South Australia's economy continues to tank, local business leaders and the state Labor government have snatched at the nuclear option. Leading the hopes for salvation is a proposal for a giant underground waste dump to store some of the world's spent reactor fuel. Socialist Alternative splits rally with misguided tactics for "fighting Fascism"
Upon his inauguration on May 16, 2007, former French President Nicolas Sarkozy visited the Bois de Boulogne in Paris and paid homage to 35 anti-fascist resistance fighters shot by the occupying Nazis in August 1944, just before Paris was liberated. He also read the last letter of Guy Moquet, a 17-year-old Communist, to his parents on the eve of his execution by the occupiers in 1941 along with 26 other Communist resisters. Nafez Abed at his Gaza rooftop workspace. Photo: Momen Faiz/Electronic Intifada. A small room on a rooftop in the occupied Gaza Strip’s crowded Beach refugee camp resembles a miniature archaeological museum. 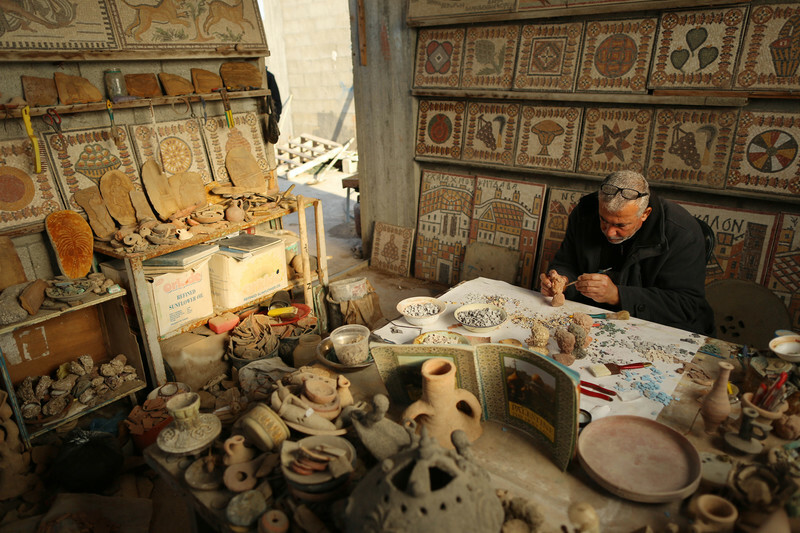 It is the workshop of Nafez Abed, 55, who studies archaeological artefacts in order to replicate them in exquisite detail.